Here are some tips from experts for picking the line that will move the fastest. Getting in line with numerous people who have fewer things can be a poor choice. The New York Times reported a research that found all of that takes an average of 41 seconds per person and items to be rung up take about three seconds each. That means getting in line with numerous people who have fewer things can be a poor choice. Think of it this way: One person with 100 items to be rung up will take an average of almost six minutes to process. 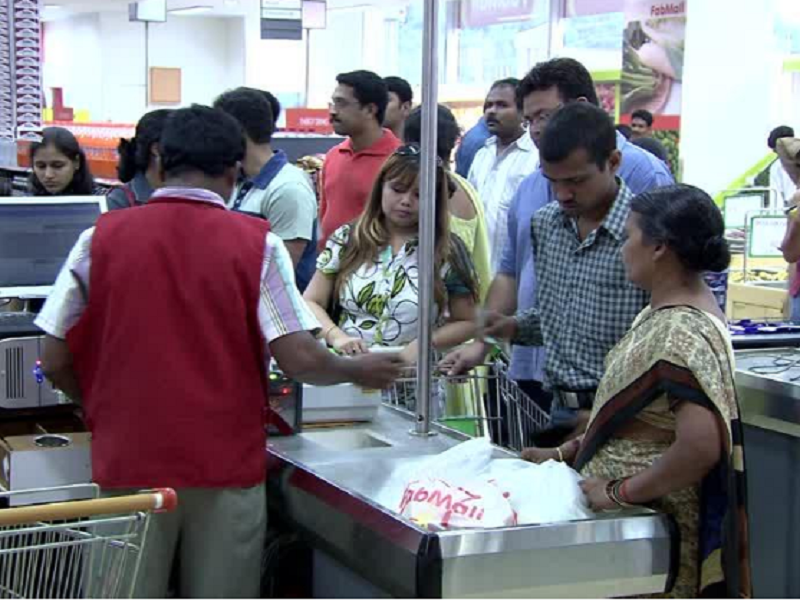 If you get in a line with four people who each have 20 items, it will take an average of nearly seven minutes. Those minutes add up. Richard Larson, a Massachusetts Institute of Technology professor who is considered the foremost expert on queues, estimated that Americans spend 37 billion hours a year waiting in lines. Sexist as this may sound but, A. J. Marsden, an assistant professor of Human Services and Psychology at Beacon College in Leesburg, Florida, suggested checking to see if a cashier was talkative and commenting on every item being scanned. If so, avoid this line “unless there is no one in that line, in which case, just deal with the chatty cashier,” she said in an email to The New York Times. It is not just the number of people ahead of you, but their age and what they are buying that can make a difference, Professor Marsden said. Older people will take a bit longer because they can have difficulties that delay the checkout process, such as not understanding how a debit card works, she said. Also consider the number of different items they are buying, Professor Larson said. Six bottles of the same soda will go faster than six totally different items, some of which cannot be scanned, such as vegetables, he said. If you find yourself in a line that snakes around a corner or where the cashier’s view of the number of customers is obstructed by a wall or a shelf, be prepared for a longer wait, one study found. The study, released in June, noted that obstructions hinder the feedback cashiers get from seeing how their work thins the line. What can you do to speed up service? • Always face bar codes toward the cashier. • When buying clothes, remove the hangers and pull the tags out for easy scanning. • Use the buddy system at the express lanes. Split the items so you each stay within the maximum number allowed and then get out the door quicker. To some degree, waiting is all in your head. Research has found that, on average, people overestimated how long they waited in a line by 36 percent. Customers are more concerned with how long a line is than how fast it moves, according to research by Prof. Ziv Carmon of the business school Insead and Prof. Daniel Kahneman of Princeton University. Given a choice between a slow-moving short line and a fast-moving long one, people will often opt for the short line, even if the waits are identical.